1800 metres of T-Pren gutter expansion joints have been supplied for the port terminal buildings on the Hong Kong – Zhuhai bridge. 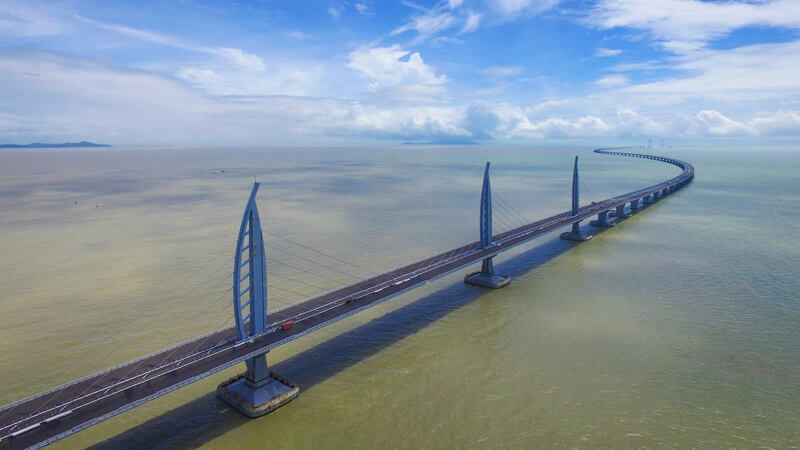 Recently opened by Chinese president Xi Jinping the bridge is the world’s longest sea crossing bridge. 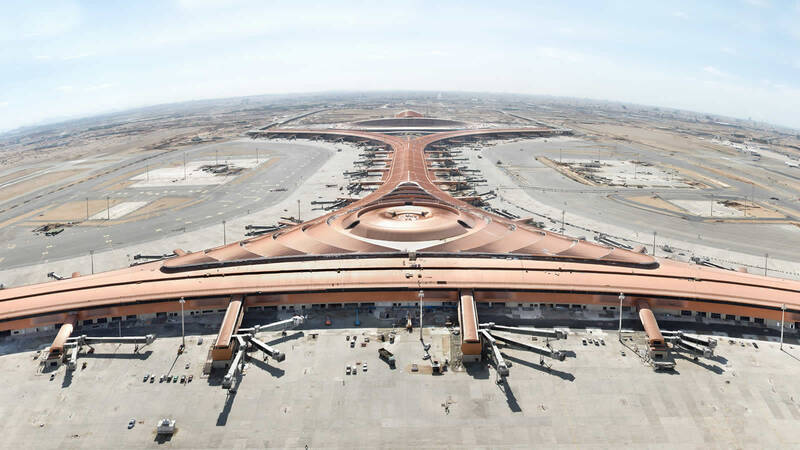 Matthew Hebden has supplied over 3000 metres of aluminium T-Pren expansion joints for the new King Abdulaziz international airport. The new airport has been designed to accommodate 80 million passengers and will be the main gateway for pilgrims coming to perform the Haj as well as providing quick connections to domestic and international destinations. The new airport covers 670,000m2 and so accommodating the thermal movements of such a large aluminium roof was an important design issue, which was overcome by the use of the T-Pren expansion joint. The aluminium sides of the T-Pren were welded to the aluminium sheets in the gutters to form a waterproof expansion joint. 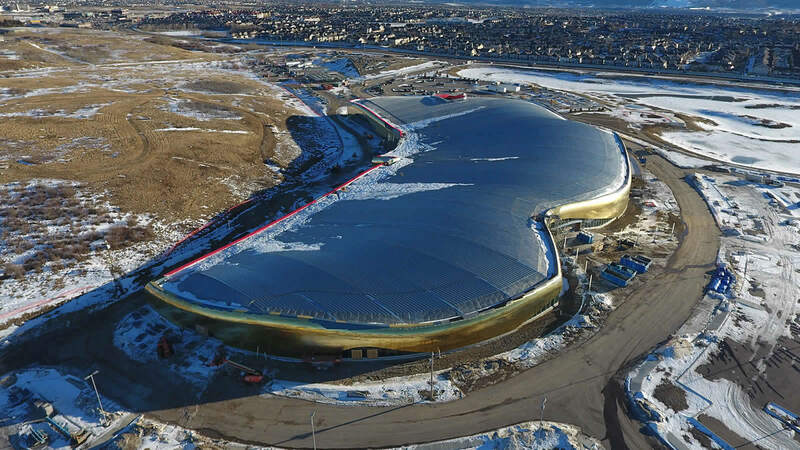 Around 1000 metres of T-Pren gutter expansion joints were supplied for the 28,000 m2 curved roof of the Rocky Ridge recreational centre in Calgary, Canada. The centre houses two swimming pools, two ice rinks, three gyms, a running track and library. The wide curved gutter required special long lengths of T-Pren, 9 to 18m long, which were installed in pairs to provide double the expansion movement. T-Pren forms a waterproof expansion joint, which eliminates the need for the standard step detail, and results in fewer rainwater outlets.